If you need background information on Zenobia, click on Now All Shame is Exhausted. This is a book for all Zenobia fans. Even before you open it, you know it will be something special. 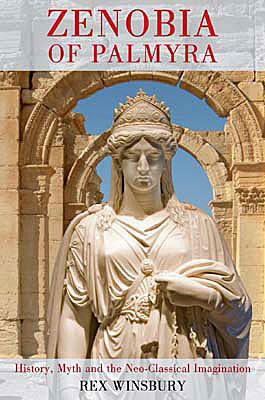 The cover places Harriet Hosmer's larger-than-life size statue of Zenobia In Chains (1859) right in front of the triple gate of Palmyra's Grand Colonnade, a leap of imagination across the centuries to unite two feminist icons: Hosmer's most admired work (and her own remarkable life*) and the history of the real-life Queen Zenobia. Zenobia in Chains is considered Hosmer's masterpiece, and there's no doubt that the artist put her heart and soul into the monument. Bringing the two icons together, as Winsbury does, "makes the aesthetics of the statue and its symbolic and historical values impossible to separate one from another." Most historical biographies begin at the beginning -- first what is known of the subject's early days (birth, childhood, education) -- and go on till they come to the end (death); then stop. Death need not always be the final page, of course: exceptional people and exceptional events often have a vigorous afterlife. Zenobia's story never died: that rare creature, a female ruler, continued to fascinate those who came afterwards. How was her reign understood by later generations? As an awful warning, or an inspiration? This afterlife, too, is part of a modern biography. Normally, though, one expects to get the life story before its afterlife. But 'heads becomes tails' in Rex Winsbury's diverting history of Zenobia. 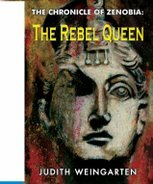 How her vision of Zenobia chimed with or was at odds with other people's visions of the famous Syrian queen, and with what we can say today about the historical Zenobia in the light of the latest evidence, is the main theme of this book. Hosmer's infatuation with Zenobia illustrates how easily fact and fiction came together in the person of this Syrian queen. Facts about Zenobia are thin on the ground. Fiction abounds. Zenobia lived, strutted the stage, and battled in mid-third century CE, surely the worst documented period in the history of the Roman Empire. Every bit of information about her is contentious, fragmentary, or biased -- and often all three together. Anyway, when ancient authors wrote about the past, they rarely had in mind what we think of as the aim of history ("things as they really were"), but rather mixed in generous dollops of myth and legend, gossip, hearsay, moralizing, ethnic stereotypes, political propaganda, and plain wishful thinking ("the way things should have been"). And so to Zenobia's 'life'. Zenobia's father might (or might not) have been the J. Aurelius Zenobius who was governor of Palmyra when the Emperor Alexander Severus visited the city in 230-231 CE -- right before his disastrous Persian campaign. Zenobia was probably born soon after that visit (Winsbury suggests 240 AD but I would put her birth earlier). We don't know her mother's name or family. He gives short shrift to the claim that "she was of the family of the Cleopatras and the Ptolemies", classing this as self-invention and political propaganda. I am not so sure. It doesn't seem to me improbable that she was descended on her mother's side from Ptolemies -- not especially the Great Cleopatra VII but quite possibly a lesser, still regal lady: Cleopatra Thea and her third husband King Antiochus VII (who ruled Seleucid Syria) are good candidates. That would even explain an inscription which refers to Zenobia as 'daughter of Antiochus'. The Palmyran upper class did marry out. Her husband, Odenathus, had two Emesene paternal ancestors whose names suggest they were part of Emesa's old royal family. What I greatly like about this book is its emphasis on Odenathus, the warrior prince, who is rightly given almost as much space as his wife. This is hardly an anti-feminist position. Rather, it makes no sense to ask what Zenobia thought she was doing without first trying to understand the extraordinary career of her husband. Winsbury argues (correctly, I think) that Zenobia basically continued her husband's policies, albeit that road led her into still more rocky places. Their choices were bleak. 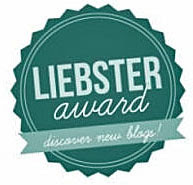 As Winsbury puts it succinctly, "Those were rough times and rough places. It can't have been much fun being ruler of an eastern outpost of Rome just when the Romans were reeling from defeat after defeat delivered by the new Persian empire across the Euphrates. In 253, the Persians attacked Syria and looted Antioch, the greatest city of the East. Three years later, Dura Europos fell, the river stronghold garrisoned by both Roman and Palmyran troops. Now, nothing but empty steppe stood between the enemy and Palmyra itself, the richest surviving city of Syria. There are hints, and Winsbury stresses them, that Odenathus, although a Roman subject, tried to treat with the Persians. He calls this "double-dealing". I call it the better part of valour. Not only was Palmyra itself in grave danger but the Persians were in control of the trade routes that had made the city so wealthy in the first place. Festus (writing ca. 370) called him 'the avenger of the Roman Empire', a remark Winsbury judges too grand in the light of some admittedly damned-by-slight-praise from other sources. For what it's worth (which isn't much) Historiae Augustae, sings his praises too (probably copying from the same earlier history as Festus). Still, there is an important witness whom Winsbury doesn't quote: Libanius, the great orator of Antioch. In a letter written ca. 391, Libanius says that Odenathus was everywhere victorious, that "his name alone shook the heart of the Persians"; and that, as a final flourish, he must have been a son of Zeus because he could not have accomplished so much if he were merely mortal (Letter 1006). High praise indeed from one who knew, if anyone did, what had happened in the East. While returning from his victories in the Persian realm (267/268 CE) Odenathus and his son from an earlier marriage were both murdered at Emesa; the assassin is described as a cousin. Although Winsbury toys with the idea, there is very little justification (other than the wicked step-mother motif) for suspecting Zenobia of involvement in the murder. Gallienus, the Roman emperor at the time, had plenty of reason to want Odenathus terminated (with extreme prejudice) and the wherewithal to get it done. If Zenobia plotted against her husband, she would have needed backing from high-ranking Palmyrans; why would they have wanted to kill Odenathus and his eldest son in favour her under-age boy? Odenathus was victorious on every front; he was riding high. In the next three chapters, Winsbury recounts in concentrated (but not potted) fashion the story of Zenobia that is reasonably well known to readers of this blog: how she came to the throne in 268 as regent for her son Waballath and became the ruler of all the East, then Empress of the short-lived Palmyran Empire and, finally, her defeat by Aurelian in 272 CE. Winsbury tells it well. Naturally, I disagree with some of his emphases but, to keep this review at a reasonable length, I give just one example, but an important one: What happened to Zenobia after her defeat? There are, as we know, three different versions of her fate. Zosimus, one of the last pagan historians (writing ca. 500 CE, almost certainly copying the 4th-century history of Eunapius,) says she died on the way to Rome either by starvation or illness. 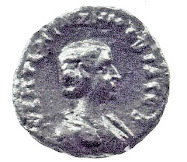 Malalas, 6th-century Byzantine chronicler, says that Aurelian paraded her in his triumph in Rome (274 CE), and then "beheaded her in the traditional manner". That is the moment Harriet Hosmer envisaged, her marble Zenobia in chains but, even in defeat, erect and majestic (and, as Winsbury rightly notes, sexless). Now Historiae Augustae goes further into la-la land ... and I am surprised that Winsbury chooses to follow. And so she lived happily ever after. I don't think so. The writer(s) of Historiae Augustae seem to have conflated our Zenobia with another, earlier Zenobia, queen of Armenia. As preserved by Tacitus, this Other Zenobia, too, was taken to a hostile king who received her kindly and granted her life and living, and treated her with royal honours. That two queens named Zenobia shared a common fate seems more than coincidence. I remain extremely sceptical. the ruler and head of state of a remarkable city at a remarkable period of history who won praise from her natural enemies for some of her qualities and odium among her admirers for some of her faults, and who just happened to be a woman. And so we are left with a Zenobia for our disenchanted times: "Her actions were the actions of a ruler, doing what rulers do, for good or ill."
You have to read this book, well-written, clear, and quite thorough. Then, we can go on arguing, probably forever. * We have written about Hosmer's monumental statue and its creator a number of times: Zenobia is Back in America; The Huntington Makes Space -- for Zenobia; and (Hosmer sharing top billing with Patricia Cronin) Zenobia Lost and Found. ** For more elaborate detail, see Pat Southern's Empress Zenobia, reviewed here. Thank-you for your review of this book. I agree with most of your comments, except that relating to Zenobia's death. I agree that there are at least 3 versions of what happened to her. However, I think the fact that most of the contemporary and later historians opt for the view that you disagree with seems to me to imply that they feel, as I do, that this is not just a "happy ever after" story, but that the emperor, realizing that his enemy, Zenobia had been vanquished, could afford to be magnanimous in victory. He was known as 1 of the few merciful Roman emperors. Also, by granting her the right to live in Italy, not too far from Rome, and seeing her married off to a Roman, and living a life of comparative ease, if not luxury, would be the best way to ensure that she would not wish to try to escape. Also, it would mean that he would be able to keep tags on her. In addition, she had lost her only son; any children she may or may not have had would not have had the same anti-Roman feelings as her dead child. Whilst I accept that you are entitled to your own point of view, and you may be right, I do not feel that this was a happy ending to her life, just 1 more pragmatic decision that she made, assuming that she had the choice, and which was the lesser of 2 evils. 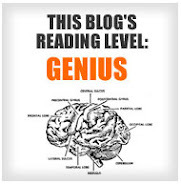 As you write, we do not have much information to go on anyway, and this is as much as any of us can do, i.e., guess. The future may produce some interesting new evidence, but I am not holding my breath! Dear Anonymous, Yours is a very sound argument (I was being a bit facetious in saying 'happy ever after'). But I still think it's not true. In any case, I would say you are wrong in claiming that Aurelian was a merciful emperor. He was not. On the contrary, he was reputed to be exceptionally cruel (even compared to the harsh competition of his time). Of course, he could have relented in Zenobia's case but I see no reason to believe that he did. One could have hope for new evidence from Palmyra, With the chaos in Syria that now looks even less likely. Alas.